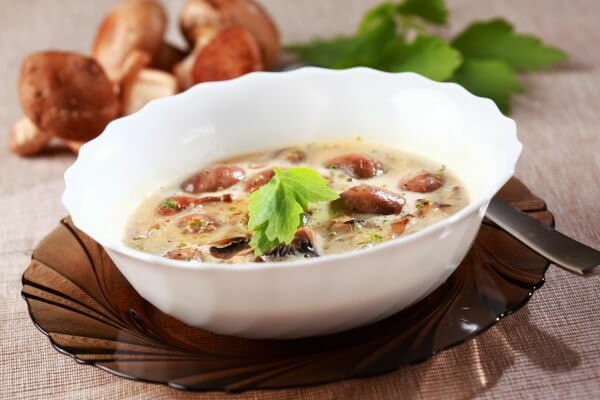 Mushroom broth – is one of the most popular dishes in the Carpathian Mountains. 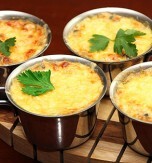 Due to the variety of the Carpathian kitchen the mushroom soup can be cooked differently even in the same village. 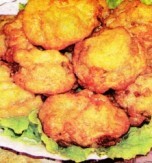 Each hostess uses her own recipe of the dish. This mushroom broth with potato and carrot is so unique and savoury that you don’t need to use any additional spices except black pepper. 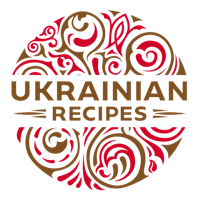 This recipe contains ceps which are used in many Carpathian dishes. By the way ceps are also used as flavor additive. Soak haricot in water for a night. Then wash the haricot and boil it for 1 hour. Pour ceps with water for 3 hours. Then wash them and filter the mushroom broth. Add cold water to the broth and boil the ceps for 1 hour. Then transfer the mushrooms to a plate. Next add the prepared haricot, peeled and diced potatoes. Season the soup with salt and pepper. 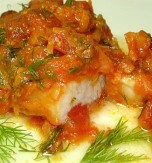 Cook the dish 15-20 minutes. Peel and chop onions. Peel and grate a carrot. Chop the mushrooms coarsely. Combine the ingredients and stew them about 10 minutes. Then add the mass to the soup and boil it 10-15 minutes. Remove the soup from heat and leave it for a couple of hours. Serve the mushroom soup hot with sour cream and chopped dill or parsley. 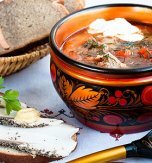 Do you have a favorite Ukrainian recipe for a porcini mushroom soup? If so, please let us know in the comments below or write us an e-mail.